It is proven that being unhappy with a job can cause serious health issues ( article , study). A job that engages an employee, and uses their strengths results in greater wellbeing (report). Stop letting excuses barricade your health and wellbeing. Change is scary, but the reward is well worth it. "(Mental) models have to come from multiple disciplines — because all the wisdom of the world is not to be found in one little academic department ~ Charlie Munger (source)"
Two Posts Ago, I showed how to apply The Beatles' songwriting technique when decision making. The Beatles are one of the most creative musical groups of all time, and much can be learned by studying their methods. Bob Dylan is one of the most transformative artists of all time. Stylistic changes have kept him relevant for over 50 years. Dylan constantly changes his style in pursuit of his current songwriting interests. Bob Dylan's dedication to passionately engaging in his work is inspirational. By 'going electric' in 1964, Bob Dylan began his first public transformation. The famed stylistic pivot is captured on his 5th studio album. The album's title, Bringing It All Back Home , is a metaphor for Dylan reengaging with his own interests. Dylan pursued one career path for several years, but now needed to take tangental turn. He knew he had to change styles because his passion faded. My first job after college was at a Fortune 500 Company. It payed well, and I wanted to chip away at some college debts. It was perfect at the time, but I outgrew it once I gained skills and confidence. At a certain point, I became frustrated with doing something I was not passionate about. Switching departments changed nothing. I still felt that I was on the wrong track, and needed a tangential change. So, after 11 months of work, I left to find a new path. "20 Years of schoolin' and they put you on the day shift"
Dylan was a torchbearer of early 60s protest music. Dylan claimed, "I wanted to be Elvis, not a prophet ." Despite his feelings there was massive peer pressure on him to continue writing protest songs. Subterranean Homesick Blues highlights Bob's frustration with people trying to make you do something that you dont want to do. "Shes an artist, she don't look back"
At one time, Dylan was interested in folk songs. Although he claims to never have written protest songs: "they weren't sermons, (critics and fans) accidentally interperated them that way" His albums The Freewheelin' Bob Dylan and The Times They Are A-Changin' succeeded in the folk and protest community. In 1965, he said: "I don't think I am a folk singer" ~ https://www.youtube.com/watch?v=mnl5X5MQKTg However, such great music would not have been written without passion for those topics. The message is: Move forward with no regrets. "They say sing while you work, but I just get bored"
Maggie's Farm tells the tale of a person trapped doing a job they hate. Dylan said, "You are not that person they think you are...you feel like an imposter". Dylan received significant push back when he outgrew protest music. This song expresses his feelings toward those who attempted to coerce him into doing something he no longer believed in. "Theres no success like failure, and failure is no success at all"
Pursuing love comes with risk. Dylan risked his career by doing what he wanted instead of indulging his protest fans. If he remained a protest singer he would have deprive people of his later songs about relationships, individualism, religion, and much more. "Don't ask me nothin' about nothin', I just might tell you the truth"
Outlaw Blues is straightforward: Dylan is sketching out a new personality. 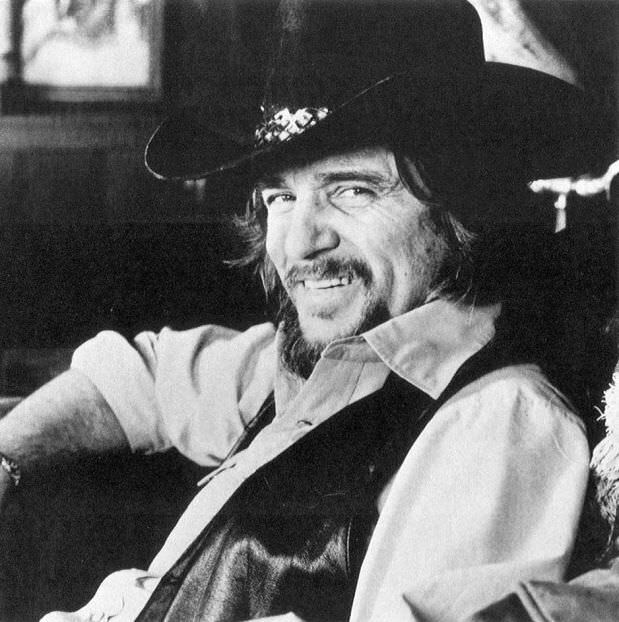 Instead of being a morally straight folk singer, he now exhibits an outlaw persona. Outlaws ignore laws, and make decisions based on their own opinions. Dylan was an seen as an outlaw of the folk music circle because he went electric. The message is: To live outside the laws of others, you must be honest with yourself. "Even the butler hes got something to prove. And, you ask why I don't live here? Honey how come you don't move"
In this song, Bob takes the listener to a strange place. He refuses to move to this place because the events that occur there are clearly ridiculous. The people he encounters don't see the absurdity as they continually ask why he doesn't want to live in this place. The message is: Don't just go along with something if you do not agree with it. So I made it back to the ship"
This song is analogous to Episode 7: Aeolus, of James Joyce's Ulysses . Stylistically, both pieces are long, turbulent, and confusing. In Bob Dylan's 115th Dream , Dylan fails to free his shipmates from jail. After facing many hurdles he returns to the ship without his comrades. In Ulysses , Leopold Bloom fails to get his client's ad published in the local newspaper. This part of Ulysses was written to mirror a part of The Odyssey : When King Aeolus gives Odysseus a bag of winds that control the sea. However, his crew opens the bag, thinking it is treasure. The unleashed winds blow them back to Aeolus. The King refuses to help again, so the crew has sail without help. Even when these characters thought they had control over a situation, they did not. Fate changed the course, but they continued on their journey. "Let me forget about today until tomorrow"
The theme of this song is transition. Dylan expresses the difficulty in letting go of dreams that are fading away. It ends with 'Let me forget about today until tomorrow', which shows he has at last moved on. The message is: you must move on to your next dream when you are lingering within a dream that is fading. "There are no kings inside the Gates of Eden"
Gates of Eden is about self confidence. In the song, opposition continually try and fail at compromising The Gates. Eden is a metaphor for Dylan's newly manifested personal freedom. A way of making choices based upon passion, and not the desires of others. The message is: Hold on to your own ideas, and ignore what others say. "Its not he or she or them or it that you belong to"
This is the boldest song on the album. It is frank, unlike the other songs which use metaphors and stories to convey their message. Bob frustratingly urges everyone to free themselves from the Rat Race Choir. Read the lyrics to see how much passion Dylan has about the subject. They sum up Dylan's perspective on conformity and personal freedom during this period. The message is: Do not blindly conform. "Strike another match, go start a new"
This song ends the album with a sombre tone. Its about of life moving on without you, and the gloom of leaving something/someone behind. The song ends with the line Strike another match, go start a new, Its all over now baby blue. The message is: Ignore the gloom, and to move on to your new exciting future. Bringing It All Back Home is one of Bob Dylan's greatest albums. It was recorded at a pivotal point in Dylan's career: when he abandoned safety to pursue self interests. Through prose and metaphors, Bob has exposed his true feelings about finding happiness. Bob offers sage advise: stay true to yourself, and pursue a life of passion. The album exposes how daft it is to remain doing something when passion has faded. It takes the listener through a spectrum of emotions associated with taking control over your life. Go listen, and get inspired. If you don't own the album, you are really missing out. Get a copy.